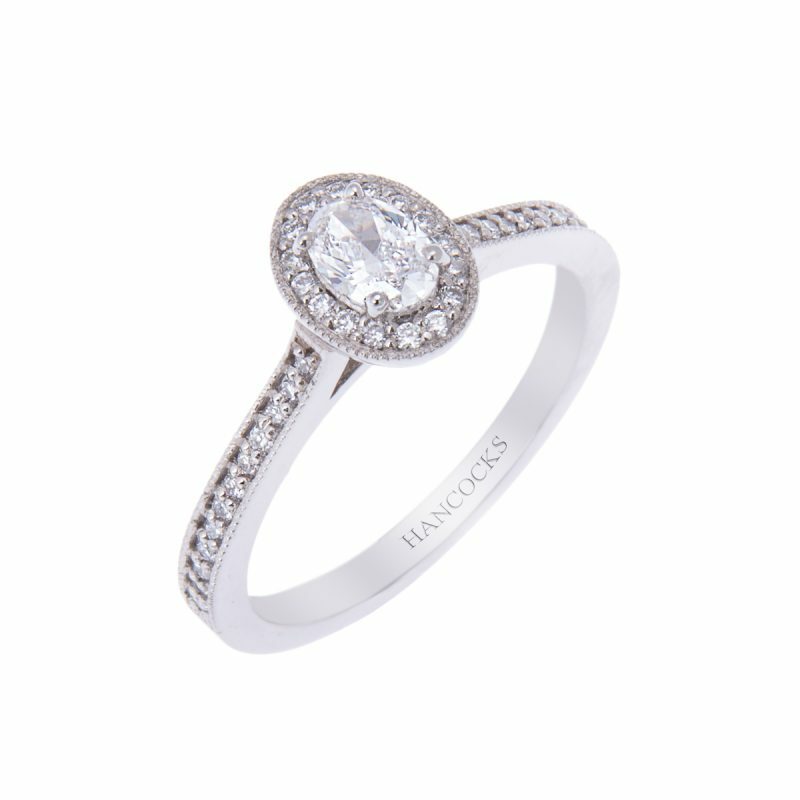 A stunning 0.30ct D colour oval cut diamond cluster ring set with a row of brilliant cut diamonds, each held in a grain setting to form this beautiful pave circle surrounding the central stone. 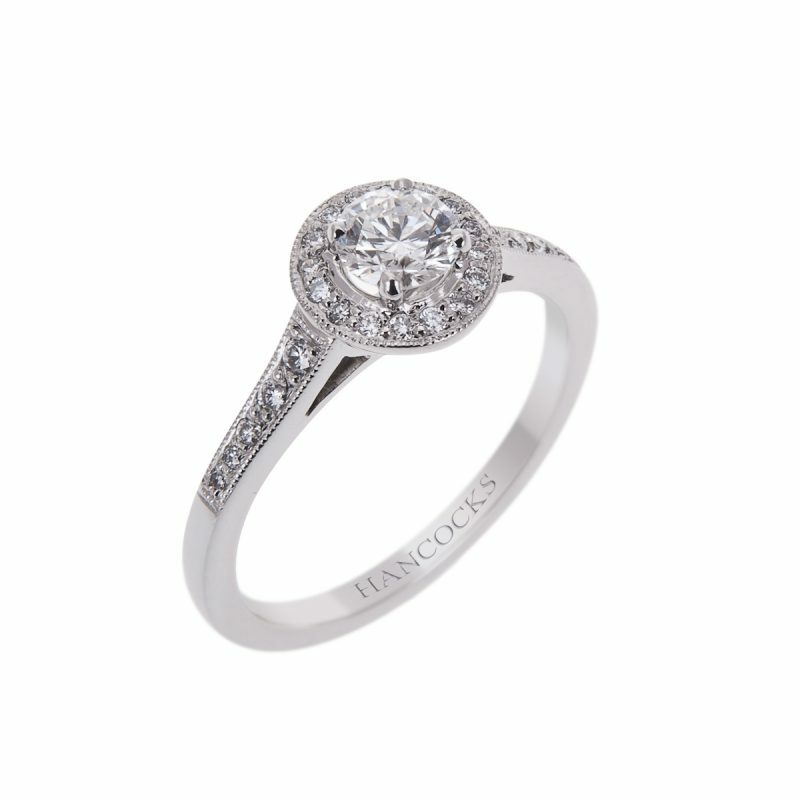 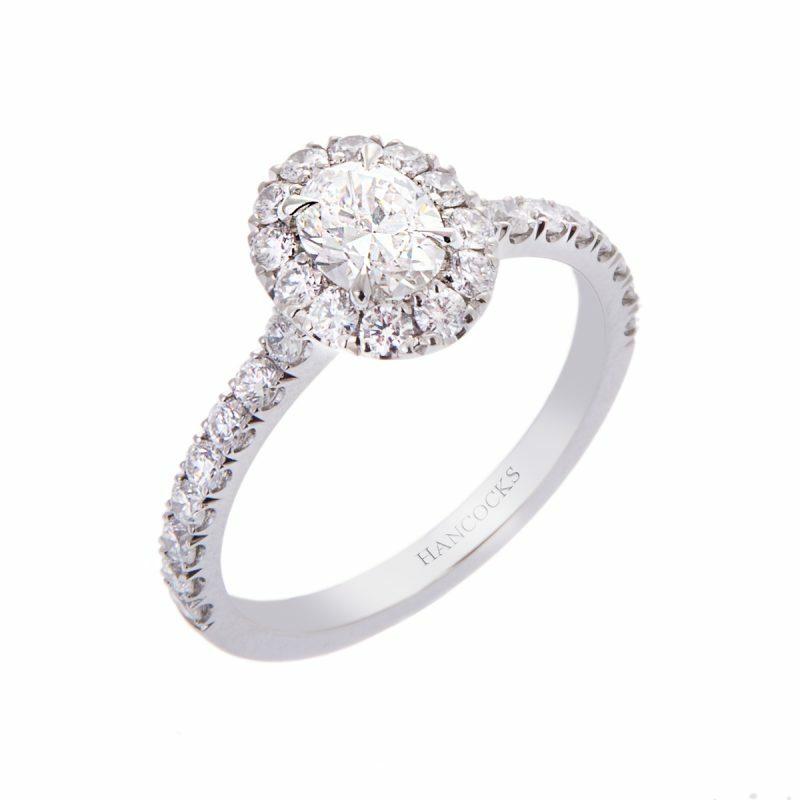 The platinum setting and diamond set shank complete this stunning ring. 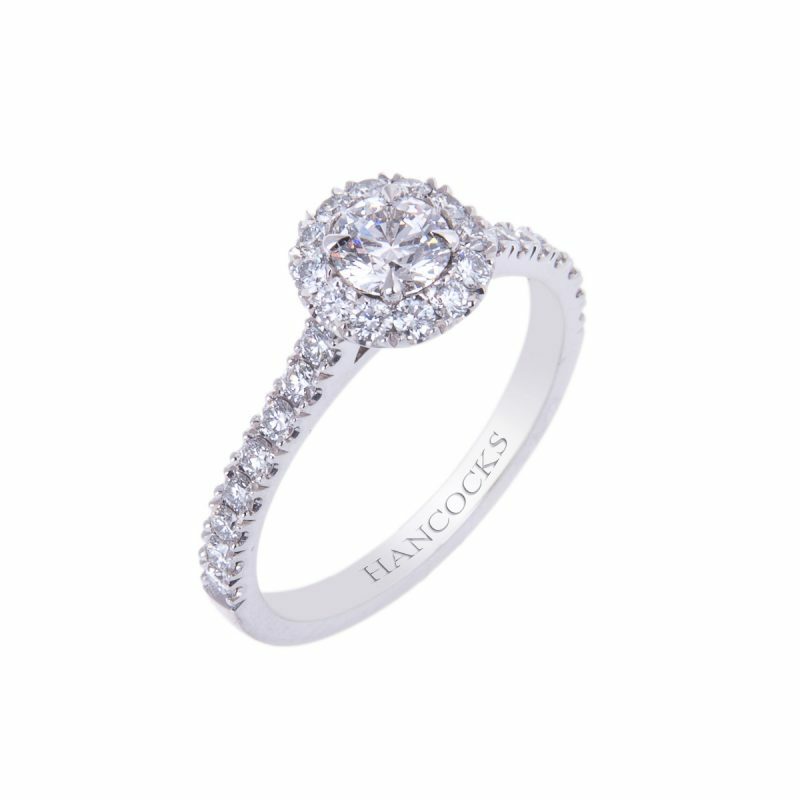 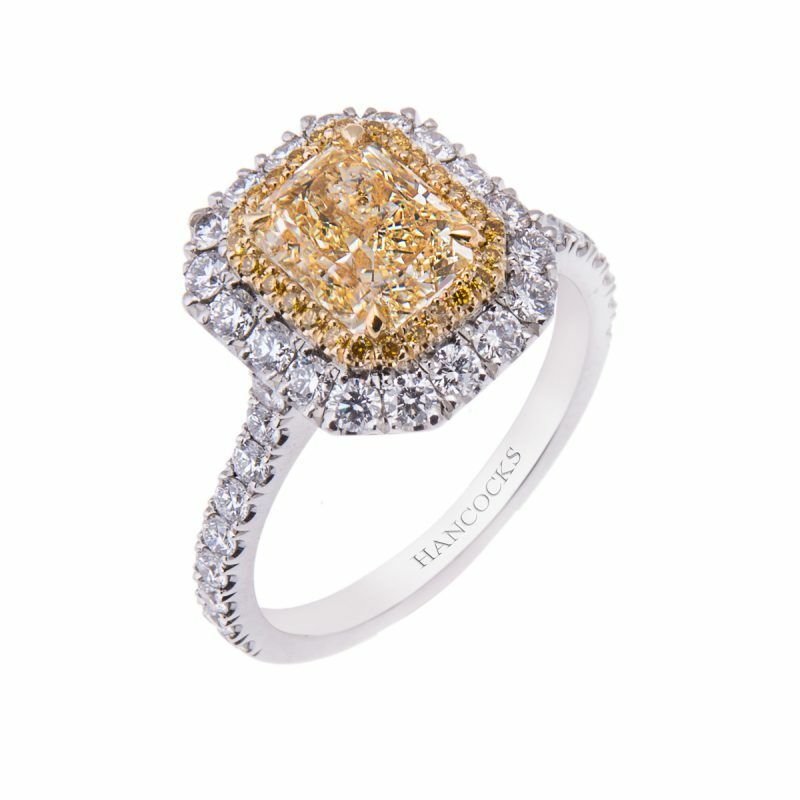 This breath-taking ring would make a truly thoughtful gift for a special occasion or anniversary.